It’s always difficult to find a special gift for someone special. Someone who is perhaps difficult to choose a gift for or just someone who is lucky enough to have a lot of everything and doesn’t really need anything. Why not play it forward and make a food or cash donation in their name. 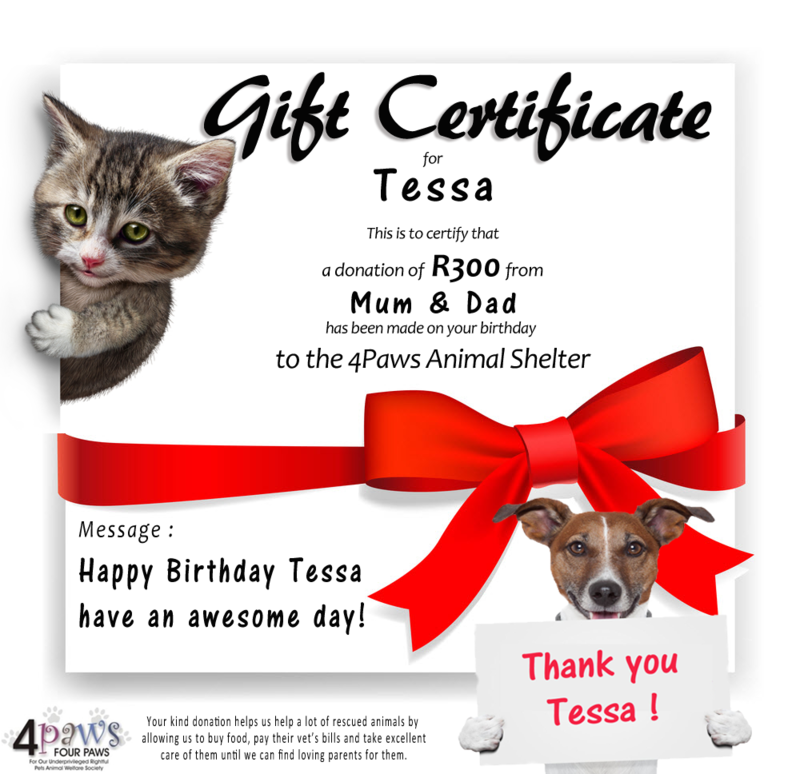 We will send you a special ‘thank you’ in the form of a Gift Certificate from 4Paws, personalised for the person of your choice. I’m sure it’s the best gift they will every get! Please contact us if you would like to make a donation as a gift to someone you love. It will really show you care! If you have already made your donation, please fill in your details here and we will send the gift card to you within 24 hours.